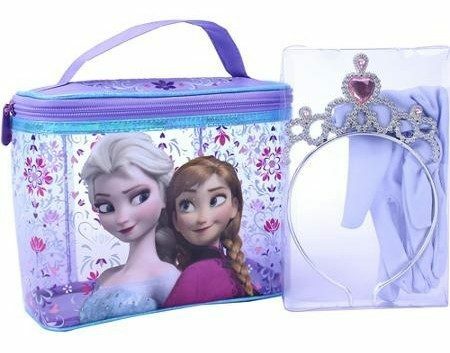 Disney Frozen Train Case Only $4.99! You are here: Home / Great Deals / Disney Frozen Train Case Only $4.99! Case include Princess Gloves, Tiara and Wristlet Coin Purse. Stash this in your holiday present closet for your kids. At this price it also makes a great gift exchange present for them or a present for their friends! Thanks, Deals and Steals 4 Women!